The weather is getting warmer. Do you know what that means? I’m officially in summer food brainstorming mode. Which means grilling/picnicing/camping-friendly dishes will be infiltrating my menu plan slowly and inconspicuously for the next few weeks, building up to a hostile takeover sometime in the month of May. Get ready because once we move(!!!) and get our grill set up, it’ll be on like Donkey Kong. This entry was posted in Uncategorized and tagged baking, breakfast, cooking, dinner, DIY, food, frugal, frugality, home, homemade, kid friendly, kitchen, life, lunch, meal plan, meals, meatless, menu, menu plan, recipes, saving, snacks, vegetarian. Bookmark the permalink. Can I come live with you for the week? Your meals sound amazing! Gonna need the recipe for that sweet bean salad, puh-leez! 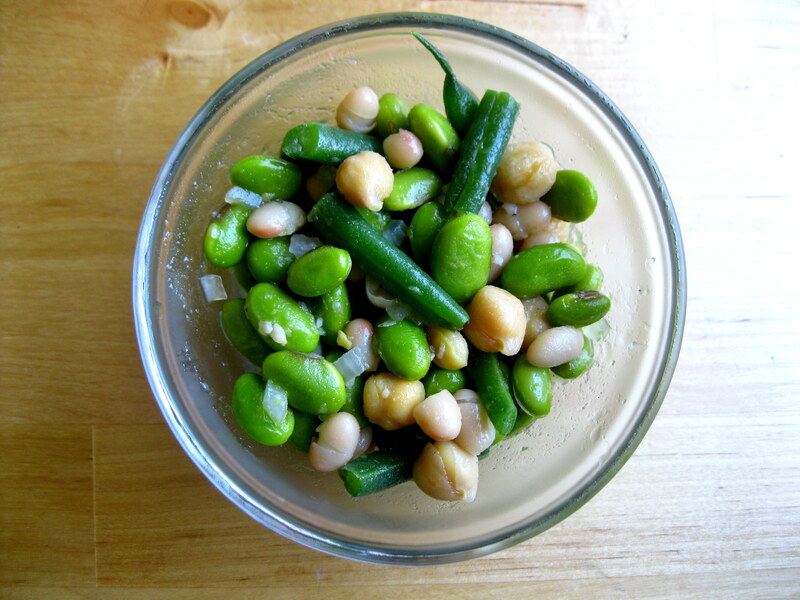 I get lots of requests for a 5 bean salad I make with a red wine vinegar dressing and would love to change it up with something so pretty and green! 83 degree weather has also taken over my kitchen. I’ve taken to marinating EVERYTHING and putting it on the grill. YUM! As soon as I saw bacon, I was sold.